Information on adult literacy in the UK and our Books Unlocked programme. 16.4% of adults in England, or 7.1 million people, can be described as having 'very poor literacy skills.' They can understand short straightforward texts on familiar topics accurately and independently, and obtain information from everyday sources, but reading information from unfamiliar sources, or on unfamiliar topics, could cause problems. 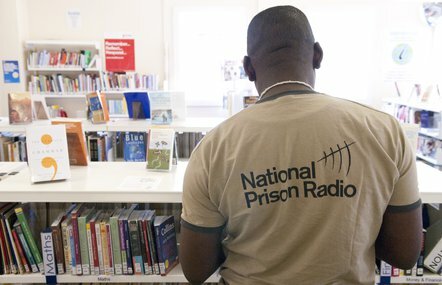 We work with the Booker Prize Foundation and National Prison Radio to engage prisoners and increase their enjoyment and frequency of reading through our Books Unlocked programme. You could also contact a local adult education college directly, for information on courses, or your local library, which can also provide support such as appropriate reading materials and reading groups. Adults can also get literacy support in their role as parents, through family learning activity provided by colleges, libraries, schools and other organisations. Being able to become more involved in their children’s learning can be a powerful motivator to adults to improve their literacy skills. English My Way is a resource for tutors who support and teach adults with no or low levels of English, providing free teaching resources and tools to manage classes. In England, adult literacy is often referred to in terms of levels, which are defined in the government’s 2011 Skills for Life survey.